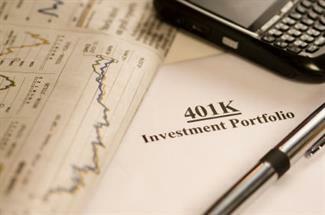 Among for-profit organizations, 401(k) plans have become the most popular retirement plans, primarily because of employee perception that a 401(k) plan is a necessary benefit. Although most 401(k) plans involve both employee and employer contributions, employees can benefit even if the employer does not contribute. Employees voluntarily elect to make pre-tax contributions through payroll deductions up to an annual maximum limit. Profit sharing contributions may be made in addition to, or instead of, matching contributions. Employee and employer matching contributions are subject to nondiscrimination tests that limits how much “Highly Compensated Employees” can defer based on the amount deferred by the "Non-Highly Compensated Employees." Your retirement plan administrator from American Pension Advisors can ensure that your plan meets these requirements. If beneficial to the company or its leadership, American Pension Advisors can design a plan to satisfy "401(k) Safe Harbor" requirements which can eliminate nondiscrimination testing, allowing “Highly Compensated Employees” to defer up to the annual limit regardless of what percentage or amount the “Non-Highly Compensated Employees” defer.